Dr. David Teplin is an adult clinical psychologist in private practice in Toronto, Canada. His primary focus is clinical assessment, adult ADHD, and substance use disorders. He is also an adjunct professor in the doctoral program in clinical psychology at Medaille College in Buffalo, New York. He sits on the editorial review boards of several peer-reviewed clinical journals. He is the past chair of the Canadian Psychological Association Section on Addiction Psychology, and more recently served as chair of the Canadian Psychological Association task force on the legalization of cannabis. He is also chair of the professional advisory board for Totally ADD. 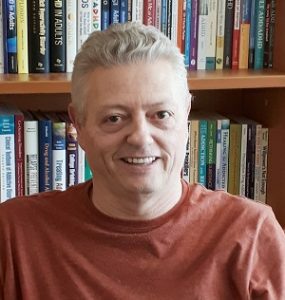 David Giwerc, M.C.C., M.C.A.C, B.C.C., is Founder and President of the ADD Coach Academy, www.ADDCA.com, the world’s foremost ADHD coach training program. The ADD Coach Academy is the first and only comprehensive ADHD coach training program fully accredited by the International Coach Federation, (ICF), the global governing body for the coaching profession, the Center for Credentialing & Education, (CCE), and the Professional Association of ADHD Coaches, (PAAC), the organization responsible for establishing and maintaining international standards of excellence for credentialing ADHD coaches and accrediting qualified ADHD coach training schools and programs. David is a Master Certified ADHD Coach, MCAC, with the Professional Association of ADHD Coaches, (PAAC), a Master Certified Coach, MCC, with the International Coach Federation, (ICF), and a Board Certified Coach, BCC, with the Center for Credentialing & Education, CCE. For over fifteen years, David has established an internationally recognized coaching practice dedicated to empowering AD/HD entrepreneurs, and executives. David serves on the Professional Advisory Board of the Attention Deficit Disorder Association, (ADDA), and the Professional Association of ADHD Coaches (PAAC). He served, (2003-2006), as president of the Attention Deficit Disorder Association, (ADDA), the world’s leading organization supporting adults with ADHD. David is also a board member of the American Professional Society of ADHD and Related Disorders, (APSARD). As ADDA’s president, David was a catalyst for U.S. resolution 390 which was unanimously approved by the United States Senate on July 6,2004. The resolution declared September 14, 2005, “National AD/HD Awareness Day.” Since its inception in the United States, it has grown internationally as an annual event designed to educate people, all over the world, about ADHD and the importance of proper diagnosis and treatment. David continues to be a spokesperson for the ADHD Coaching profession where he has been featured in numerous national publications, radio and television programs and is often a key presenter at various national, international ADHD and Coaching conferences. David is the author of the ground breaking book, “Permission to Proceed, The Keys to Creating a Life of Passion Purpose and Possibility for Adults with ADHD.” In his debut book, David shares his unique & effective coaching models for gaining control of one’s ADHD in life at home, work and in the community. Terry M. Dickson, M.D., ACG, CPCC is the Founder and Director of The Behavioral Medicine Clinic of NW Michigan that has served and supported children, adolescents and adults with AD/HD for the past twelve years. The Behavioral Medicine Clinic is a comprehensive clinic that provides education and supportive materials to families and individuals as well as medical treatment. Dr. Dickson has been a principal study investigator for several clinical ADHD medication trials and has published many articles and has contributed to book chapters. His heartfelt passion for folks with ADHD led him to coaching as he feels it fills a need that medication can’t fill. He is a Certified Professional Co-Active Coach (CPCC) and a graduate of ADDCA. His coach training includes the ADD Coach Academy and The Coaches Training Institute. Dr. Dickson’s passion is helping families live successfully with their challenges and exploring how ADHD affects families, marriage, and parenting. He has a special interest in how ADHD affects the non-ADHD spouse. Dr. Dickson speaks regularly on ADHD and has been interviewed locally and nationally on both radio and TV (CNN News) as well as CHADD’s “Ask an Expert” online program. He has been a frequent speaker at the International CHADD Conference, past ADDA National Conferences, Michael Gold’s Memorial Conference and the Annual Virtual ADHD Conference. He served on the Board of Directors of ADDA and co-chairman of the Professional Advisory Board and the ADDA National Conference Chairman. He is a member of the ADHD Coaches Organization and serves as Vice-President of the Board of Directors. He lives in Traverse City, Michigan with his wife and two children who have both been diagnosed with AD/HD. Dr. Paul C. Jacobs is a fully Licensed Psychologist in full time Private Practice in the Metro Detroit area. He received his PhD in Clinical and Educational Psychology from Wayne State University in 1974. The focus of his practice is on the evaluation and treatment of individuals of all ages with Attention Deficit Hyperactivity Disorders. He is a frequent speaker on this topic, consults with many school systems and private schools on issues related to Attention and learning difficulties, and collaborates with Psychiatriss, Primary Care Physicians and Pediatricians to ensure appropriate care. He is on the board of directors of the South Oakland County CHADD chapter and on the Profession Board of advisors for ADDA. Robert M. Madonna is a Principal and Executive Vice President of Sales and Marketing for McCoy Enterprises, (www.mccoyenterprises.com), a leading corporate employee training and consulting firm. In this capacity, Mr. Madonna is responsible for all sales and business development activities. In 2005, 2006 and 2008, the Wharton School of Business and the Philadelphia Business Journal named McCoy Enterprises as one of the Top 100 Fastest Growing Companies in the Philadelphia Area. Prior to his present position, Mr. Madonna was EVP–Sales and Marketing of EchoBurst Corporation, of Dulles VA, a wireless Location Based Service (LBS) provider. Prior to his startup work at EchoBurst, Mr. Madonna was EVP-Sales and Marketing at Numerex Corporation (NASDAQ; NMRX, www.nmrx.com) of Atlanta, Georgia. From 1997 to 2001, Mr. Madonna was responsible for the successful turnaround of four business units. These business units were Broadband Networks Inc (BNI), a State College, PA video communications and networking provider, UPLINK Security a Atlanta, GA provider of wireless security services, Digilog, a Willow Grove, PA provider of Telco network test equipment and DCX Systems, a Willow Grove, PA provider of wireline telemetry technologies. Prior to joining Numerex, Mr. Madonna had a diverse and successful career at Bell Atlantic Corporation (now Verizon Corp.). Mr. Madonna had extensive experience in new product development, sales and marketing, and customer services positions. While at Bell Atlantic, Mr. Madonna was responsible for developing and implementing various new products and services such as CLASS Calling Services, CATV Pay-per-View Services and Automatic Utility Meter Reading Services. In 1996, Mr. Madonna was on special assignment to Telecom New Zealand where he was responsible for reviewing and reorganizing Telecom’s Large Business customer service organization. Terry Matlen, MSW, ACSW, is a psychotherapist, consultant, writer, and coach specializing in ADHD. She has a special interest in women with ADHD and parenting the ADHD child when one or both parents also has ADHD. A nationally recognized speaker on ADHD, Terry is on the ADDA Professional Advisory Board after having served for many years on its board of directors, including several as vice-president and is immediate past CHADD coordinator of the E. Oakland County Chapter in Michigan. Terry is the author of the books “The Queen of Distraction” and “Survival Tips for Women with ADHD.” She is the founder and president of the popular website www.ADDconsults.com. Terry is certified through the Institute for the Advancement of ADHD Coaching as a Senior Certified Coach (SCAC). Sari Solden, MS LMFT, a psychotherapist in private practice in Ann Arbor, Michigan, has worked with adults with ADHD and their partners for over 25 years. Sari is the author of Women with Attention Deficit Disorder (Revised 2nd edition 2005) and Journeys Through ADDulthood, 2002. She is a prominent speaker at both national and international ADHD conferences, serves on the professional advisory board of ADDA, has served on the program conference committee for national CHADD and is a past recipient of ADDA’s award for Outstanding Service by a Helping Professional. Her areas of specialization include inattentive ADHD, women’s issues, as well as long-term counseling issues for adults not diagnosed until adulthood. Dr. Spector has over 40 years of clinical experience in school and clinical psychology, working with both students and adults with Attention Deficit Hyperactivity Disorder and learning differences. He has a Ph.D. in Psychology and serves on the board of the Southeastern CHADD Association and the Professional Advisory Board of ADDA. Dr. Spectored authored “Pediatric Attention Disorders Diagnostic Screener (PADDS): Applying an Evidence-Based Assessment Process for Children at Risk for Attention Deficit Hyperactivity Disorder,” published by Guilford Press in the ADHD Report. Dr. Spector is an assistant professor at the Department of Pediatrics and Psychiatry at Wayne State University School of Medicine and works in his independent practice in West Bloomfield, Michigan. He has conducted numerous evaluations dealing with high-stakes testing and accommodations, including students who have applied for the ACT, SAT, LSAT, GRE, MCAT, BAR and MPRE examinations, and the USMLE test for medical students. Thom Hartmann is a national and internationally syndicated talk show host whose shows are available in over a half-billion homes worldwide. Thom is a New York Times bestselling, 4-times Project Censored Award winning author of 24 books in print in 17 languages on five continents. Talkers Magazine named Thom Hartmann as the 8th most important talk show host in America in 2011, 2012, and 2013 (10th the two previous years), and for three of the past five years the #1 most important progressive host, in their “Heavy Hundred” ranking. As an entrepreneur, he’s also founded several successful businesses which still are operating, and lived and worked with his wife, Louise, and their three children on several continents. They also started a community for abused children and a school for autistic and ADHD kids that are all still operating in New Hampshire, and he helped start international relief programs on four continents and the largest community for abused children in the entire country of Israel. His latest book is The Crash of 2016. Dr. Roberto Olivardia is a Clinical Instructor of Psychology at Harvard Medical School and Clinical Associate at McLean Hospital in Belmont, Massachusetts. He maintains a private psychotherapy practice in Lexington, Massachusetts, where he specializes in the treatment of attention deficit hyperactivity disorder (ADHD) and executive functioning issues, body dysmorphic disorder (BDD), and obsessive-compulsive disorder (OCD). He also specializes in the treatment of eating disorders in boys and men. He is co-author of The Adonis Complex, a book which details the various manifestations of body image problems in men. He has appeared in publications such as TIME, GQ, and Rolling Stone, and has been featured on Good Morning America, EXTRA, CBS This Morning, CNN, Fox and Friends, and VH1. He has spoken on numerous radio, podcast and webinar shows and presents at many talks and conferences around the country, including the CHADD conferences annually. He currently sits on the Scientific Advisory Board for ADDitude Magazine and serves on the Professional Advisory Board for CHADD, as well as the National Association for Males with Eating Disorders.